There are several different communication options available to any Arma player. The game comes with a Voice-Over-Net (VON) system which is quite flexible, while community-created mods such as the Advanced Combat Radio Environment (ACRE) mod allow for even more robust communication possibilities. For the sake of making this chapter applicable to everyone, we'll be using more generalized terminology that can be applied to VON, ACRE, and also just normal VOIP programs like Teamspeak. An explanation of terms follows. Command radio/net. In Teamspeak, this is something like the Channel Commander feature that it has, where only selected people receive certain messages. In ACRE, it's an actual command radio net, while in Arma 3's VON it is replicated by the Commander VON Channel. Direct speaking. This isn't applicable to Teamspeak. In ACRE, it's the direct-speaking mode, while Arma 3 calls this 'Direct Speaking VON'. This mode allows a player to talk to anyone in their immediate proximity. The ShackTac ACRE Volume Control mod takes this a step further and introduces five different easily-selected voice volumes, from whispering all the way up to shouting, intended to be used in player-vs-player gameplay. Radio. Catch-all term to indicate any communication that is not direct-speaking. Squad radio/net. In Teamspeak, this is a channel specific to a squad's members, used only by them. In ACRE, this is a squad radio net dedicated to each squad. 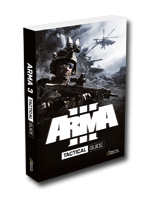 Arma 3 VON has no direct equivalent. Fireteam radio/net. Teamspeak and ACRE do not generally make use of this. For VON, this is the 'Group Speaking' VON channel. Vehicle net. VON uses the 'vehicle channel' for this, while ACRE utilizes direct speaking, which becomes a vehicle intercom automatically. Shack Tactical uses the Advanced Combat Radio Environment (ACRE) mod for Arma 3, which utilizes Teamspeak 3 to provide a robust voice and radio simulation within the game. Thanks to the usage of a standardized company structure, we are able to have a standard set of procedures for our communication. This allows us to reach a level of coordination and teamwork that would be difficult to approach without something as configurable and powerful as ACRE supporting us. There are a few things that we believe are undeniable truisms regarding communication in ShackTac. Our company must communicate effectively in order to act as a cohesive whole. Having a standard structure reduces confusion and allows for our membership to always understand how communication flows, regardless of mission. It is critical that all members understand when, how, and why they should talk at the various levels available to them, as well as how the different pieces of radio equipment work and are best used. Being familiar with this section should allow any player to live up to those expectations. The core principles of voice communication in a game like Arma 3 are as follows. Brevity. Brevity is the art of saying a lot with few words. One must always strive to be frugal on the number of words needed to convey a message - there's a lot that needs to be said by many people in a fight, and it's all important. Utilizing brevity allows for all the important things to be communicated as rapidly as possible. Clarity. In addition to brevity, one must strive to be very clear in their language. This requires the usage of defined tactical language terms, brevity words, a clear and loud voice, and so forth. Enunciation and repetition of critical statements is helpful as well. Confirmation and read-back. It's important to confirm that you heard orders, so that leaders know that they are being understood. Additionally, it can be helpful to provide a 'read back' of an order to confirm that you fully understand what is being asked of you - this is done by restating what you were ordered to do, so that the person giving the orders can confirm that you heard them correctly. Alerting and identifying. Alerting is the act of using key words to get the attention of people before you start saying something important. For example, a squad leader might say "Squad, listen up!". Identifying is the act of saying who you are and who you're trying to contact when speaking over a radio. This helps reduce confusion and alerts people that someone is attempting to tell them something. For example, a squad leader saying "Alpha, this is Bravo, be advised, you have enemy infantry on your west flank" is utilizing the alert/identify concept. When things are hectic, it's often a good idea to state your callsign and who you are trying to reach, then allow them to answer you when they're able - for instance: "Alpha, this is Bravo. ", then waiting until they say "Bravo, this is Alpha - send it" or "Bravo - send it" before continuing with your full message. Usage of standard operating procedures and tactical language. Being familiar with the standard formats of SITREPs, CASREPs, contact reports, etc, as well as being familiar with the wide range of brevity words and tactical terms, helps to ensure that communication is easy to understand by all involved participants. Arma 3's VON allows for an automatic, logical grouping of units to occur. There are five main channels in VON, each of which can be independently bound to a push-to-talk key. If using VON as your method of choice for in-game communication, all players should at least have "Direct Speaking" bound to a key. Binding "Vehicle Chat" and "Group Chat" is also helpful. There are also two other channels, which will be described after the main ones. Command chat transmits only to people who are group leaders - such as fireteam leaders, squad leaders, etc. Keep in mind that this transmits to all leaders - which can be quite a number of people in large missions. This acts as a broadcast to all players on the same side. Only platoon-critical messages should be said over Side Chat, since literally every player on that side hears everything spoken on that channel. The Platoon Commander may use this to say important things to all players at once. Think of this as a Platoon Radio Net that everyone can hear. When using this mode, every player within the vehicle will be able to hear you, regardless of what group they're in. Think of this as the internal vehicle comm system. This mode allows every player within your group to hear you. Think of this as fireteam-level personal radios. This mode is just like talking without any sort of radio. Your voice comes from your character's location, is directional, and the character even lip-syncs what you're saying. Your voice will be affected by everything that influences in-game sound, so if you run behind a building and try to talk to someone, your voice will be muffled and indistinct. Direct Speaking is excellent for communicating with people around you regardless of what group they may be in. Shouting "Grenade!" over Direct Speaking is one example of how it can be used effectively. Communicating with people nearby who may or may not be in your squad. Instead of having to look at someone, figure out what unit they're with, then figure out the appropriate radio channel to talk to them on, you can simply use "direct speaking" and talk to them the same as you would with someone nearby in reality. Calling for a medic, or calling out when wounded. Due to the locational nature of it, a medic can more easily find you if you are asking for help on direct-speaking. He can simply home in on your voice, as can anyone else who might be able to assist. Coordinating movement. This can take several forms, such as movement cues ("Moving!") or formation-based commands ("Increase interval"). Close quarters battle, such as house clearing. Hearing a teammate call "Clear!" after going into a room, for example. However, avoid this when operating against enemy players who might hear you. Calling out an emergency reload, or jam. Anyone nearby will hear you and know to transition to cover you while you correct the emergency. Calling "frag out" when throwing grenades, or "grenade!" when a grenade is thrown your way. Since your voice is positional, people can tell by the volume (ie - distance) whether the call is relevant to them or not. It warns people around you, but allows people further away to continue to fight without interruption - something that would not be possible via just the radio. Direct speaking is also a good way to keep random chatter off of the radio nets, leaving them clear for important things. Regardless of what communication program you use, it is important to maintain certain radio procedures to keep things running smooth and organized. Hearing someone say over the command net that there are "Enemy infantry, bearing 210!" is fairly worthless in a high-playercount player game with the platoon spread out over hundreds of meters if not more. Because of this, and other considerations, we use a simple set of radio procedures to keep things running smooth. Bravo SL: "Command, this is Bravo." Bravo SL: "Be advised, Bravo took one KIA." This simple procedure keeps command chat organized and allows for the various leadership elements to know when they're specifically being talked to. Not waiting for an acknowledgment often results in a repeated message being required, since the receiving unit may have been too busy at the time to listen to the message intended for it. This radio procedure is generally employed during combat situations, where any given element may be engaged or busy. When the action is less intense, it may be abridged as needed - it's up to the leaders to be able to make these decisions themselves. These are some of the most common words & phrases you'll hear used in our gaming. Many of these terms will see further explanation and definition throughout the guide in various places, but these should get you started and familiar with the core concepts. Note that there are additional terms mentioned elsewhere in the guide for more specific situations, but these are the most common ones that everyone must be familiar with. Copy/Copies - Standard acknowledgment. "Bravo, enemy armor headed your way from the north" "Bravo copies"
Roger - This is a simple affirmative acknowledgment. If told to watch to the NW by your fireteam leader, you should sound off with a quick "Roger" to let him know that you heard him and are complying. Stand by - This acts as either a wait request or a preparatory command. When used as a preparatory command, it is a warning to anyone listening that an important event is about to happen, typically one which other players will need to participate in. For instance, a squad leader might tell his fireteams to hold their fire while an enemy patrol approaches unaware. He would then say "stand by" to indicate that they are about to initiate the ambush (alternatively, he could say "stand by to open fire"). Upon hearing "stand by", all squad members would prepare to engage the enemy. The squad leader would then announce "Open fire! ", at which point the squad would ambush the enemy patrol. When used as a wait request, it is a way to tell the person asking you a question that you need a few moments to get the answer. If the PltCo asks Bravo squad if they can get eyes on an enemy patrol near them, Bravo SL might answer back with "Command, this is Bravo, stand by..." and then try to accomplish that goal before radioing back with a yes/no. Radio Silence / Break, Break, Break - Typically used by a Squad Leader or Platoon Commander to tell everyone in their channel to be quiet while command chat occurs. Also can be used to get everyone to shut up so that faint sounds, such as distant vehicles, can more clearly be heard. Be advised - Used to indicate important information during a radio communication, typically to another leadership element. "Command, be advised, Bravo squad took heavy casualties and is down to one reinforced fireteam"
Say again - The prior message was not understood - say it again. "Alpha, say again your last?" Stepped on - Used to tell the last transmitting party that they were talked over by another person. "Bravo, say again your last, you were stepped on." On Me - Command by the element leader to tell his element members to form up on him and follow him. Typically prefaced with the element name, ie "Bravo 2, on me!" Move out / moving / step off / stepping - Commands used to indicate the beginning of a period of movement. Hold - Used to control movement. "Hold" is ordered when a unit needs to make a temporary halt. Oftentimes used to maintain cohesion between multiple elements. Go Firm - Described in detail in the "Tactics" section. The short version is that once "Go Firm" is ordered, all squads consolidate their position, assume a defensive and secure posture, get a count of their numbers, check their ammo situation, and stand by for orders. Occasionally misunderstood and used as a 'hold' command. Up - General statement to indicate that a player has returned to a ready state. A player can use "Up" to indicate that they have caught up to their team, have successfully reloaded, have received medical aid, et cetera. Set - Said to indicate that an element is in position. If Bravo 1 is tasked with securing an intersection before Bravo Two crosses, Bravo 2 FTL would say "Bravo One set" once his fireteam was positioned to provide cover. Can be used by buddy team members as well to coordinate low-level movement. Weapon Dry / Empty - Used to indicate that your weapon is temporarily out of action due to running out of ammo in your current magazine. Only spoken when it's urgent, with the intent being to notify teammates so that they can cover you / your assigned sector while you correct the issue. Misfire / Jammed - Used to indicate that your weapon has jammed. Same usage as the above - only when it's urgent, so that teammates know to cover/help you. Cease Fire - Used to cause a temporary lull in the shooting. Cease Fire is used when all enemy are seemingly dead and no further shooting is necessary. Individual players can continue firing at living enemy soldiers at their own discretion, under the assumption that the person giving the order did not see that there were still living enemies. Check Fire - A "Check Fire" command is given when it's suspected that a friendly unit is being fired upon by friendlies. Cease Fire can be used in that situation as well, as long as the person giving the command makes it clear that friendly units are possibly being engaged by friendly forces, but "Check Fire" specifically is meant as a way to cut off potential friendly fire. Hold Fire - Distinctly different from "Cease fire", this command is used to maintain stealth. When under a "hold fire" order, players do not engage the enemy until the fireteam or squad leader specifically give the go-ahead, or the enemy spots a friendly and appears to be ready to fire on them. Frag Out - Warning call given when throwing a grenade. Grenade - Warning call given when an enemy grenade has been thrown at friendlies, a grenade is fumbled, or anything else that poses a close-in grenade threat. Incoming / IDF / Indirect - Warning calls given when enemy indirect fire (grenade launchers, mortars, artillery, etc) is inbound on friendly positions. IDF is pronounced "Eye dee eff". Mount up / Remount - Command given to order players to mount into their assigned vehicles. "Remount" is sometimes given after players have temporarily dismounted, such as when providing security at a halt. Dismount - Players who are not driving or gunning on a vehicle will exit the vehicle on this command. Bail out - All players in a vehicle will exit the vehicle on this command. This is considered to be an emergency command and is repeated three times to ensure that everyone in the vehicle hears it. Go, go, go! - Passengers of a helo disembark at this command from their element leader or the aircraft crew. This can also be used when mounting up into a helicopter during an extraction. In that situation, the senior element leader confirms that his troops are loaded and accounted for, then says 'Go, go, go!' to indicate to the helo pilot that he should take off. Finally, it can be used to signal the start of a paradropping sequence from a helicopter or airplane. Contact reports are intended to be a way for any member of the unit to concisely communicate important information about the enemy in a standard way. Being able to concisely report enemy locations is a critical communication skill to have. The sooner we know about enemy positions, and the faster it is passed to the entire squad, the better our survivability will be and the more effective we will be at reacting to threats. A contact report consists of several key elements that must be presented in a specific order for it to be effective. They are as follows. Typically the word 'Contact!'. This should be the first thing out of your mouth when you spot the enemy. Saying this gives everyone a heads-up that something important is about to be passed over the radio, and that they need to start scanning the area for more enemy as well as think about where they can move for cover and concealment. This immediately follows your alert. "Orient" is simply a few words to get people looking in the general direction of the enemy. There are several types of orientation methods available. Relative bearing. If a direction of movement has been established, relative directions such as "Front", "Left", "Right", "Rear" are great. In a stationary defense, particularly when defending in multiple directions, this is not a usable format. General compass bearing. Useful at all times, easy to understand. General compass bearings are things like "North", "North-West", et cetera. The ShackTac HUD, if used, can give you an easily indication of your cardinal directions. Specific compass bearing. Used for high-precision reporting when units are fairly close to each other. This involves reading the exact compass bearing, in degrees. Note that in Arma 3, the compass takes a few moments to stabilize, making this slightly slower than in previous games. Clock bearing. Clock bearings are never used aside from by single vehicle crews, since a vehicle has a common 12 o'clock that all crew members are familiar with. A vehicle crew can use clock bearings for internal communication if they so desire, though relative bearings tend to be faster overall. If the target is in range to be a threat, give a rough range immediately - "Contact front, close!" or "Contact west, 100 meters!". This can wait if the target is not a threat, but it must be given one way or the other by the end of the contact report. What did you see? Was it an enemy patrol, tank, or a little old lady out for a stroll? Say it in as few words as possible while being very clear. Examples: "Infantry", "Enemy patrol", "APC", "machinegun nest". If the target range was not given in the 'Orient' step, it must be given here. Target range is essential and allows players to react appropriately to the threat's proximity. The range can be given at whatever level of detail time allows for, from "Close!" to "523 meters" and everything in between. Range is the most important thing to expound on, and must always be given. Specific degree bearing to the target. If you only passed a relative bearing at the start for speed's sake, you can refine it into a specific degree bearing at the end of the contact report. Info about what the target is doing. Such as "They're flanking us" or "They don't see us". Specific positioning of the target. Such as "two soldiers on the roof, one in the building, the rest are patrolling around it". For instance, if you spot a patrol that is walking through a patch of woods, step #3 would be "enemy patrol", whereas step #4 would clarify that with "in the treeline, bearing 325". Note that with contact reports, getting the key information out for everyone to react to is more important than the ordering of the information. As long as people know where to look, what they're looking for, and how far away the contact is, you will have given a successful report. When making a contact report over the radio, one must remember that the level of detail used should be proportionate to the amount of time you have to give it and the urgency of the threat. If there is an enemy squad far away that does not see you or pose a threat to you, take the time to clearly describe where it is. If on the other hand there is an enemy squad on the other side of a small rise 50 meters away, and it's heading in the direction of your element, you'll want to be as brief and fast as possible so that everyone has time to react and get prepared for contact. "Uh, guys... I see enemy infantry. Uhh... they're over there, by that tree. No, uhh... the other tree." It's pretty clear that this is not the way to do things - too much time is spent waffling around, no significant detail is given, and generally nothing productive has been said aside from the fact that there are enemies "somewhere". No kidding! A more proper contact report would be as follows. Note that this is an intra-squad report - reports across squads will be covered later. Note also that if the squad fireteams are dispersed, it may be necessary to identify yourself prior to sending the contact report. Simply preface it with your callsign (this is Charlie One) prior to starting the report, or close with that information (...from Charlie One's position). "Contact front! Enemy infantry in the open, bearing 210, three hundred meters!" Once the element leader (squad or fireteam leader) hears the contact report, he will give an engagement command if necessary. Universal Rules of Engagement rules apply here - if it's a dire threat, you can engage without being specifically told to. If it's not a dire threat, or you're operating in explicit stealth mode, wait for orders before engaging. "Copy, get to cover and stand by to take them out." "Bravo, hold fire. If you have a suppressed weapon, stand by to engage." "Squad, engage, they see us!" "Contact front, 100 meters, infantry!" In this instance, the proximity of the enemy is more significant and is said first, as part of the orientation, instead of later as part of expounding. "Contact, 320, enemy squad in the open, 400 meters"
"Contact, 175, BTR-K, 600 meters. From the tallest tree at that bearing, follow the bush line left about 30 meters. It's partially masked by those bushes." "Contact, 225, dug-in infantry, 300 meters. There's a white-walled building with a red roof - on the right side of that is a brown building. Enemy infantry are in the upper floor of the brown building, I've seen them in several windows." If the element leader is giving the contact report, he will give the engagement command at the end of the report if necessary. Otherwise, the element will wait for the element leader's commands before engaging. Only the Squad Leader is authorized to give an open-fire command if the squad is in stealth mode. Fireteam Leaders will only give an open-fire command in stealth mode if their fireteam is in imminent danger of being engaged. By the same token, fireteam members will only open fire if it's necessary to protect themselves or friendly forces from being imminently engaged, per Universal ROE guidelines. When reporting contacts on the platoon net, ensure that brevity is maintained. The platoon net is typically busy, and multiple squads may need to report contacts in a short span of time. The situation report, or SITREP, is a quick way for a leader to get information on his troops. It is intended to be a very concise and quick way for an entire element to report their status to their leader. SITREPs can be asked for at the fireteam, squad, platoon, and company level. Calling for a SITREP as a leader is as simple as saying "(element you are asking for), send a sitrep" or "(element you are asking for), report in". Examples of how this call can be made are as follows. Platoon-level, via platoon radio net: "Squads, send sitreps." Squad-level, via squad radio net: "Team leaders, give me a status report." Fireteam-level, via squad radio net: "Alpha 1, report in." Sitreps are generally asked for during lulls in the action, at the close of an engagement, or when a higher-level leader asks for them. If a leader wants the status of a specific member or element, he will ask them directly. When a sitrep is asked for, the elements involved respond in numerical or alphabetical order - for example, squads report in alphabetical order - Alpha, Bravo, Charlie - while fireteams report in in numerical order. It is important that leaders do not constantly ride their junior leaders regarding sitreps. Waiting for a lull in the action helps to ensure that the need to report in does not compromise the leadership of the junior leader, or distract him from the combat task he's directing. When being asked for a situation report, a junior leader can reply with "Stand by", "Busy" or a variation thereof to let the senior leader know that he must deal with the situation at hand before he can report in detail. SITREPs are not intended to be incredibly in-depth, unless necessary. When a leader wants a more detailed report, they typically ask for an ACE report, as described next. An ACE report is a quick report given to the next-higher element leader regarding your element's status. When giving an ACE report, players only include the important parts. Ammo. If your team is low on ammo, give details on it. This can be in general ("Low on ammo") or more specific ("AR is low on ammo, but we have plenty of rifle ammo"). Casualties. State your dead first, then wounded after that. For example - "Alpha 2, 1 dead, 1 wounded". Alternatively, an element leader can simply reply with how many units are alive under his command (how many are "up"). In the previous example, it would become: "Alpha 2, 3 up, one is wounded". Equipment. If the team has lost any important equipment, it is noted here. For example, if the automatic rifle has been lost due to a casualty, and the AAR was unable to retrieve it, the team leader states so here. If the anti-tank weapons have been expended, he can state that as well. When giving an ACE report as an individual, ammo is your personal ammo, casualties is your personal medical state, and equipment refers to any special equipment you were given for the mission. As a squad leader, ACE reports from your fireteam leaders are compiled to form the sitrep that you give to the platoon commander. The casualty report, or CASREP, is a quick and focused report that is designed so that a leader can quickly find out how many casualties have been taken. Junior leaders report this information as wounded or killed, in the same format as in the ACE report. CASREPs are used when a leader only needs to know casualties, and is not concerned with ammo or equipment as described in the ACE report above. Interested in reading this in the form of a print color book, a print black-and-white book, or a PDF? You can find each in the Bohemia Interactive Store, complete with a bonus chapter!